Metro Crossing Apartments is the best in Eau Claire living! This modern, 84-unit apartment building is located within minutes of the University of Wisconsin-Eau Claire, Chippewa Valley Technical College, restaurants, shopping and more! Metro Crossing offers Studio and 1-4 bedroom apartments to suit any lifestyle and budget. 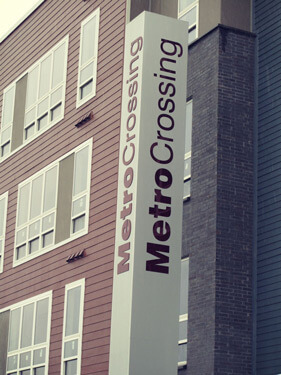 Metro Crossing Apartments is ideal for student living! Conveniently located on the bus route, this is a secured building with lounge & game area, fitness center, business center with wifi, study rooms, and underground parking.